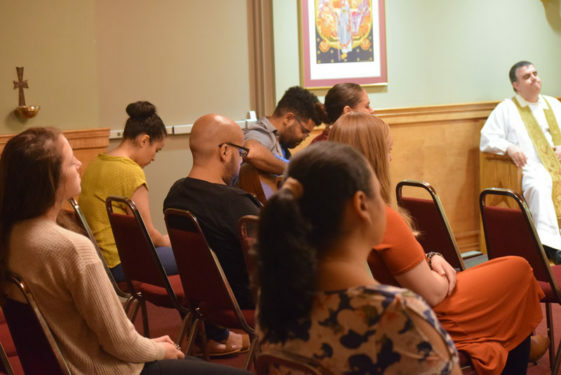 Parishioners around the diocese have spoken, and youth ministry and evangelization is a top priority when it comes to the needs of parishes in Brooklyn and Queens. That’s according to a 2016 statement by Bishop Nicholas DiMarzio when he described the results from surveys distributed across the diocese. He was explaining the efforts from both the diocese’s Generations of Faith Capital Campaign and the Catholic Youth Ministry Initiative (CYMI) that was launched in 2011 in partnership with Secretariat for Evangelization and Catechesis, and the Catholic Foundation. The bishop stated that contributors to the Generations of Faith made it clear that their primary motivation is the youth ministry component of the campaign that ensures that the youth are the next generation of engaged Catholics. The diocese has propelled the CYMI program off the ground. As of this September, 90 parishes have a paid youth minister made possible by Generations of Faith, which contained a $10 million allocation to developing youth ministry programs. More than 35,000 people in Brooklyn and Queens have donated to the capital campaign and more than $120 million has been raised to date. “Through this funding, we have been able to work with the Center for Ministry Development, a nationally recognized organization, to not only train youth ministers but certify them through a process so they could be official youth ministers transferable throughout the nation,” said diocesan Youth and Young Adult Faith Formation Director Paul Morisi. Beyond setting up online accounts for their pledges or sending a check in the mail, Generations of Faith donors might not physically see the fruits of their monetary commitment. 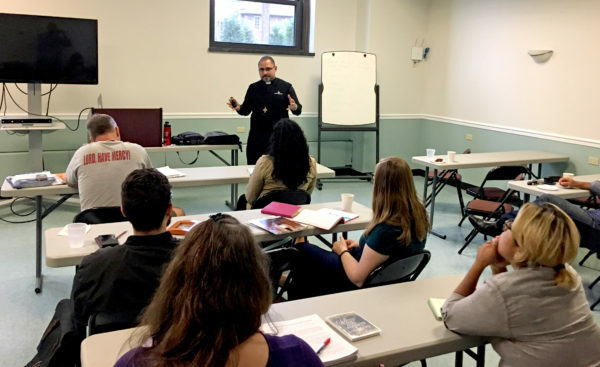 Believing in the power and potential impact of youth ministry within the Brooklyn Diocese could require as much faith as believing in the Holy Spirit – both are alive and always at work. 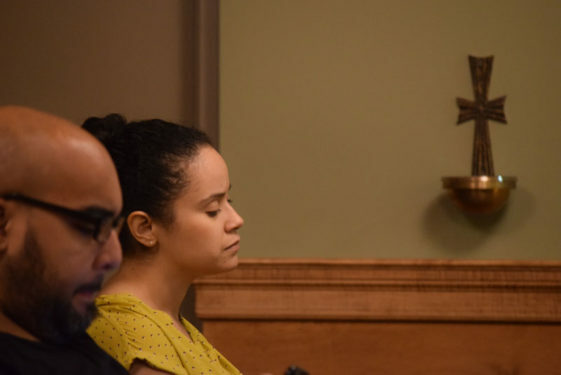 During the second CYMI meeting since the program officially kicked-off its fall ministry in late September, one priest, two diocesan staff members and a group of youth ministers from Brooklyn and Queens, gathered in a room at the House of Discernment in Cypress Hills for the opening discussion on mental health. It was a brutally honest, straightforward conversation that shared exactly how taking on the role of youth minister impacts each person beyond his or her time, talent and treasures. In a sense, the mental health discussion was a therapeutic way to have the ministers express what personally affects them, but it also reflected their passion, dedication and the depth of what teens in this generation are dealing with and how, against all odds, the youth ministers will work with whatever resources they have in order to evangelize. 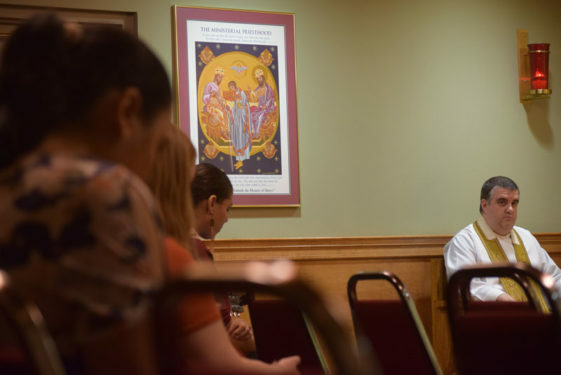 Father James Rodriguez, who ministers full time with Catholic Charities and resides at Blessed Sacrament, Jackson Heights, guided the discussion through various topics surrounding mental health and wellness. He addressed the different stigmas associated with therapy and asking for help. 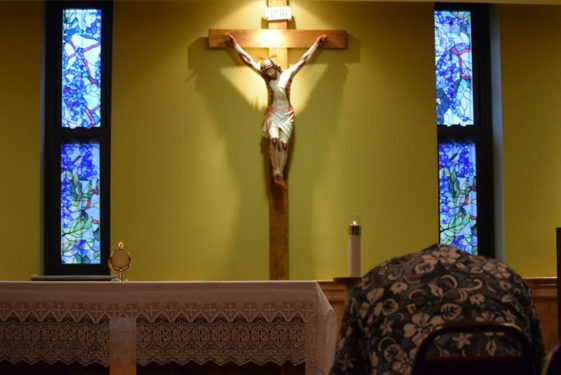 He pointed out the value of participating in eucharistic adoration as a form of meditation and even how demonic possessions could mimic mental illnesses. 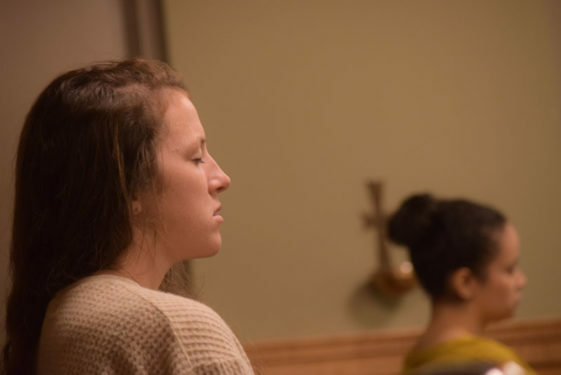 New St. Francis De Sales youth minister Kathleen Woods asked the group to pray for the youth in her ministry, especially for the students who have anxiety and complex mental health issues. Woods completely shifted careers from sales to salvation of young souls when she accepted the role. Thanks to her years of formation receiving a Catholic education – from where she works now at St. Francis De Sales, Belle Harbor, to Archbishop Molloy H.S. in Briarwood, and Fairfield University, Fairfield, Conn. – Woods was always involved in campus ministry or some form of service. Now the CYMI has allowed her to be a leader in the community where she grew up. For youth minister Joel Gomez from St. Bartholomew in Elmhurst, he openly shared the impact that therapy played throughout different stages in his adult life. As a Latino serving a more Hispanic-populated community, he understands his teens at a depth no textbook can teach. 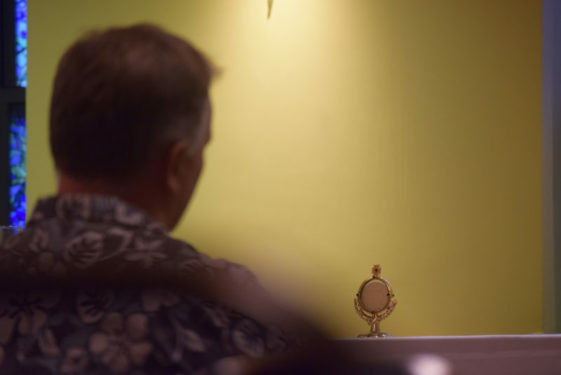 His ministry extends beyond the parish walls to the point that if a random teen walked up to him and said he or she wanted to know who Jesus is, without a second to waste, Gomez would likely accept the challenge and become that teen’s mentor on the spot. That’s because even though his experience in adolescent education has at times held a heavy weight on his shoulders, through the grace of God, his support system, his wife and family and tidbits of therapy, Gomez was essentially led back into being a leader for the young Church. He serves alongside his wife, Monique, in their second year of ministry at the church. As youth ministers talked, one topic they did not shy away from was the scandals facing the Church – which, in turn, signaled that the teens with whom they minister are also digesting the sexual abuse revelations – a factor leading to their mistrust and disillusionment with the Church, and the need for transparency. Essentially, if the teens could not trust the institution of the Catholic Church, it would make it hard for them to trust their youth minister. “It’s the first time I feel like I’m part of the Church, not just doing ministry in a church, that I’m part of the Church,” says Bensonhurst Cluster youth minister Kenny Wodzanowski. 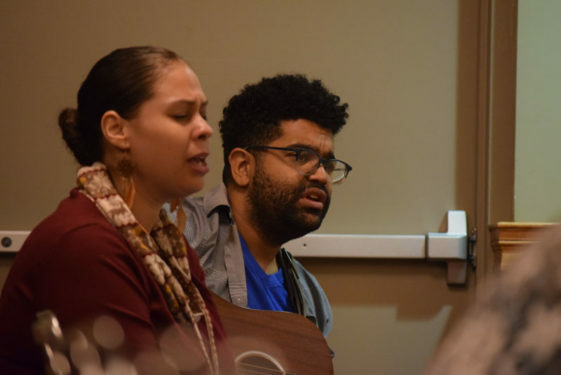 But hope is not lost because it is through continuing support and open dialogue, such as the gathering that took place in Cypress Hills, that youth ministers will not be a team of one when it comes to their evangelization efforts. “These trainings and monthly gatherings help me a lot. 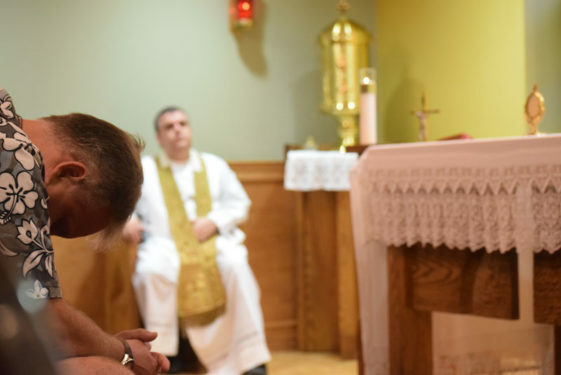 They ground me, they connect me, they humble me and they inspire me,” said the longtime Bensonhurst Cluster youth minister Kenny Wodzanowski, whose youth program consists of St. Dominic, St. Athanasius, St. Frances Cabrini, Most Precious Blood and St. Mary Mother of Jesus. “It’s the first time I feel like I’m part of the Church, not just doing ministry in a church, that I’m part of the Church. This has created a web of support, a web of guidance and also an opportunity to just be held up in prayer. 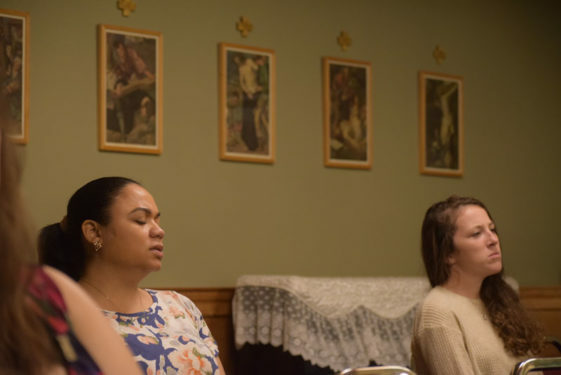 As Father Rodriguez wrapped up the discussion, Father James Kuroly, pastor of St. Rose of Lima in Rockaway Beach, prepared the youth ministers for time with Jesus in the Blessed Sacrament. With singer Alveris leading the worship with song, the group took time to take refuge in their lifeline and do what they do best: pray. The year was just getting started.